Dubai’s winter season is kicking off, with some huge announcements from superclubs Base, Zero Gravity and White already this week. But now there’s news that one of our favourite ladies’ days, Secret Ladies’ Day, is returning to FIVE Palm Jumeirah this Thursday, September 13. So if you’ve not got plans for your extra day off this weekend, listen up. 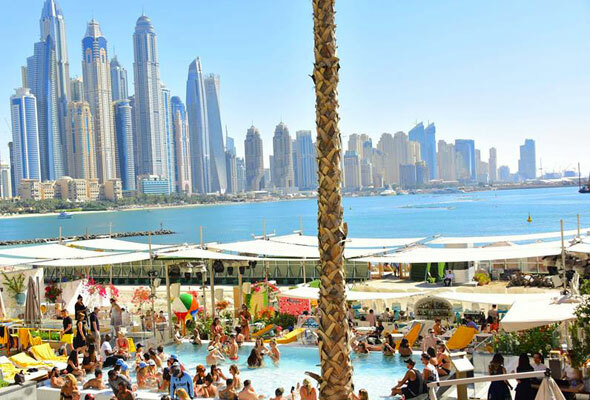 Brought to you by Secret Parties, who run monthly brunches across the city at unknown locations, the Thursday ladies’ day takes place at the main pool of FIVE Palm Jumeirah and Praia lounge. The Dhs149 deal runs from noon to 4pm. Ladies can take advantage of access to the oh-so-Instagrammable infinity pool at the hotel, as well as four hours of unlimited cocktails and sangria. 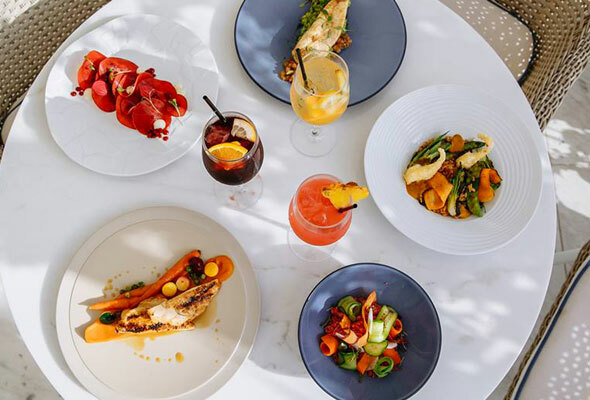 But it’s not just drinks included in the package – a two-course a la carte lunch is also provided at the recently opened Praia lounge, which has some stunning views out across the Palm and back towards Dubai Marina. For the boys, it’s a Dhs250 minimum spend. Be sure to book in early – reservations are essential and we’re expecting this one to pack out.